Well, at least it’s the first in my garden. 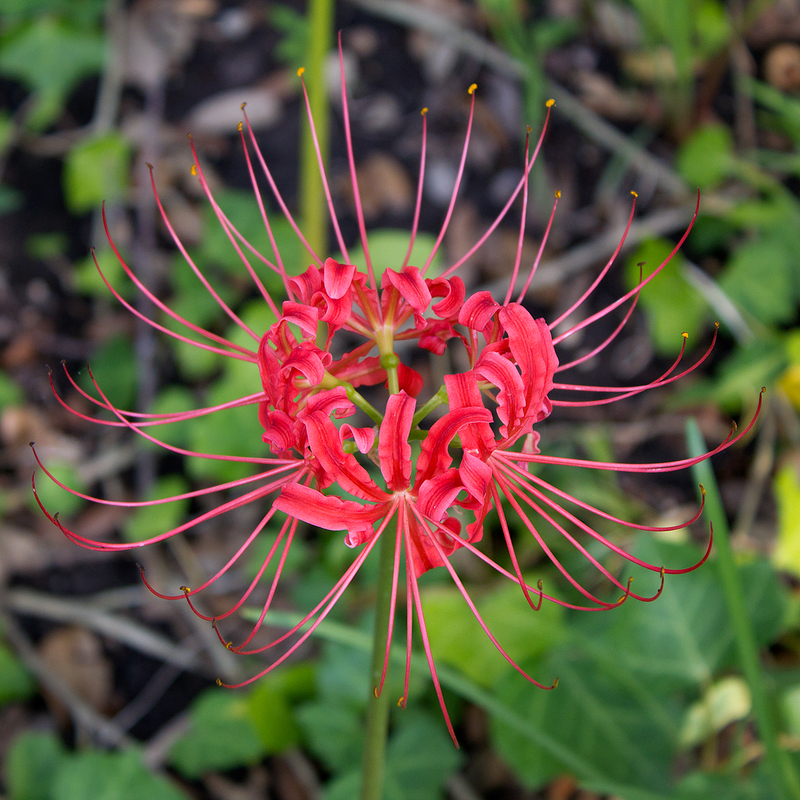 It looks like I’m going to have a whopping total of four Red Spider Lilies. Last year I had five. So what gives? And on top of that, since purchasing and planting them, it took two years before they bloomed for the first time. One must be patient when it comes to gardening and dealing with perennials. Especially perennials that can survive Dallas’s weather and temperature extremes. Between last year’s nine to ten months of El Niño accompanied with too much rain and too little sun and this year’s months of extreme heat and intense sun exposure, no wonder my plants don’t feel like performing the way I’d like them to. bulbsliliesperennialsRed Spider LiliesRed Spider LilySouthern BulbsThe Southern Bulb Co.